"Crazy in Love" is a song by American R&B singer Beyoncé Knowles, featuring American hip hop rapper Jay-Z. Knowles, Jay-Z and producer Rich Harrison wrote the song for Knowles' debut solo album, Dangerously in Love. The track features a sample from The Chi-Lites' 1970 "Are You My Woman (Tell Me So)" that serves as the song's horn hook. 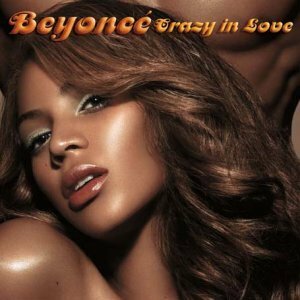 Released on July 8, 2003 as the album's lead single, "Crazy in Love" has reached number one in the charts of United States and the United Kingdom, and the top ten of many charts worldwide. "Crazy in Love" was critically acclaimed and has earned Knowles several awards. In 2009 Pitchfork ranked the song at #4 song on list of The Top 500 Tracks of the decade. "Crazy In Love" is the second biggest selling single worldwide this decade (2000-2009) with over 5 million copies sold.